CSS for an Image Homepage Background – Très Chic Studio Co. Fancy a background image for your homepage? Here is an easy way to place an image as your background for just the homepage using CSS. You’ll of course just need to pop this bit of css code at the end of your stylesheet (style.css) through your WordPress editor of if your theme has a space for custom code you can pop it in there. 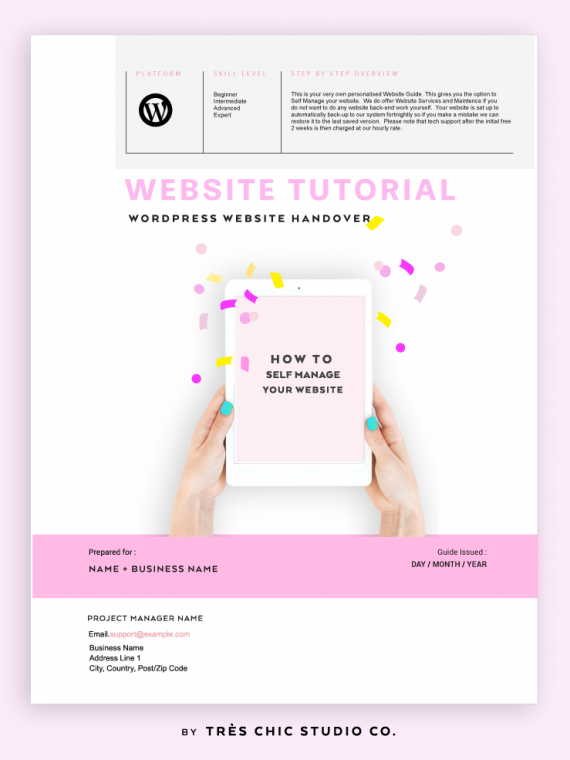 For extreme newbies to WordPress, the image needs to be saved in your themes folder under images or img, then insert the File Name into the URL above. Viola (!) a gorgeous and responsive homepage background style.